We’ve had a busy autumn at GREEN FOOT MAMA HQ – there has been so much going on its hard to believe winter is here already! With Olivia appointed resident Natural Beauty Expert at JS Health and launching The Kindfulness Project, a new mama joined the team. Its been a steep learning curve for me – blending the products alongside Olivia, learning about our ingredients, meeting our suppliers and stockists and getting to know you all on Facebook, Instagram and Pinterest – but I’m loving every minute of it! As the temperature drops, your skin is more prone to dryness – due to lower humidity, heavier clothing and indoor heating stripping moisture from your skin. Here are three tried and tested solutions for reducing dryness, improving moisture and restoring harmony to winter skin. While its easy to remember to drink water in hot weather, its just as important to remain hydrated in winter. Dehydration can cause inflammation, redness and loss of collagen, which triggers premature aging. In addition to drinking water, consider warming herbal teas, soups and broths. Minimise your intake of caffeine and salt as they contribute to dehydration. 2. Support winter skin health with healthy oils. Including oils in your diets is crucial to maintaining the health of your skin. Try adding a spoonful of coconut oil to your next smoothie or chai. Use cold pressed macadamia and olive oils in dressings and cooking. Add raw or lightly toasted nuts and seeds to baking, on cereal, or scattered over savoury and sweet dishes to support skin from the inside. 3. Reduce the temperature and duration of your shower or bath. Its tempting to soak in a long hot bath in the winter months but prolonged exposure to hot water strips your skin of its natural protective oils. Exfoliate to remove dead skin cells and allow your newer, moist skin cells to surface. Use only gentle cleansers, avoiding those with soap or alcohol and moisturise within a few minutes of drying off. 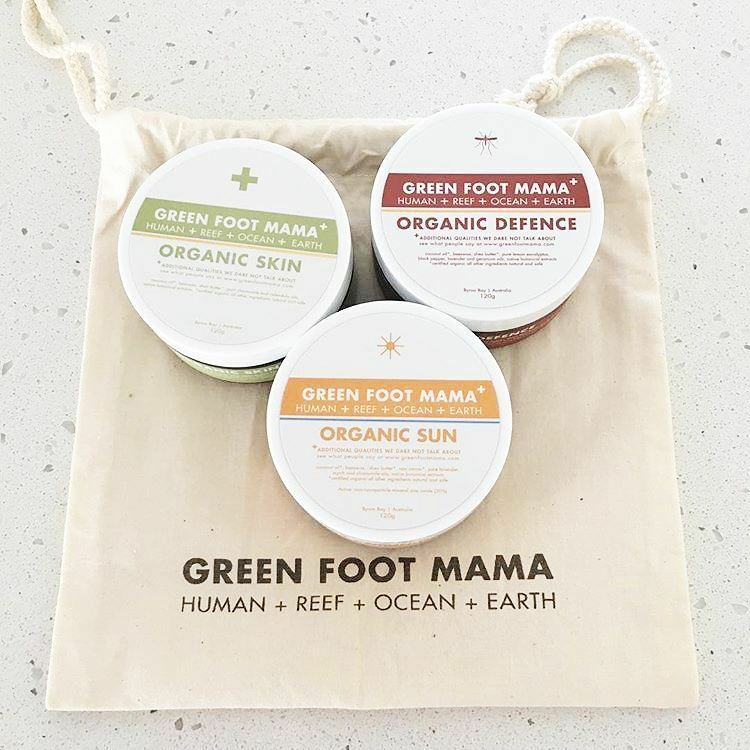 All Green Foot Mama holistic multi-use moisturising balms deliver rich nourishment and provide a protective barrier to help lock moisture in to your skin. Wild Mountain Child sells gorgeous handmade and fair-trade goods for children in the Blue Mountains, NSW. Women’s surf collective Indigo and Salt offer everything an ocean-loving woman needs on the Coal Coast, NSW. The Sunrise Kids spread their good vibes with organic T-shirts, rompers and other gorgeous goodies for little ones on the Central Coast, NSW. The Space Karratha is the North West’s premier health and wellness centre, Pilbara, WA. Macarthur Holistic Healing offers remedial, relaxation and pregnancy massage along with counselling services in Sydney. You can find contact details on the Stockists page of our website. 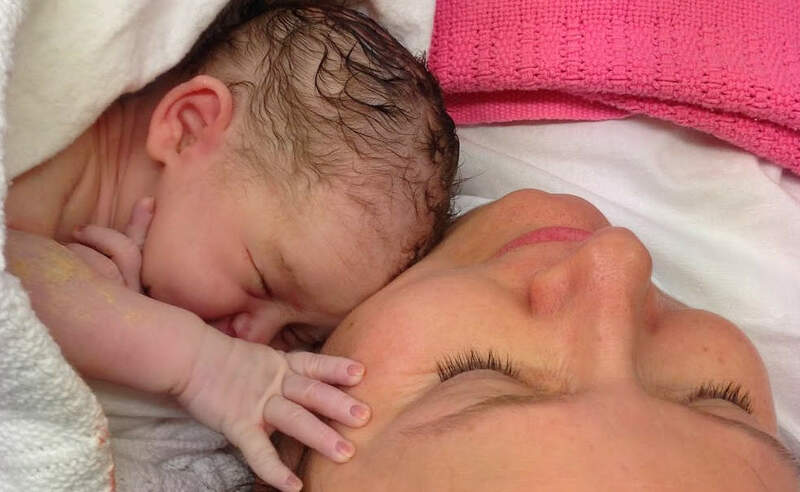 About the new mama at GFM HQ.